When consulting with a medical professional, patients typically must divulge extremely sensitive information about themselves. Additionally, any diagnosis of a patient involves further kinds of private information. Because of personal issues involved, federal laws, such as the Health Insurance Portability and Accountability Act (HIPAA), prohibit unauthorized distribution of a patient’s medical history. 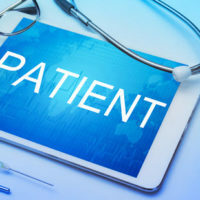 Further, the common law principle of the physician-patient privilege generally prohibits an unauthorized disclosure of communication about a patient and his/her medical history. Violations of HIPAA protections may be cause for retaining an attorney experienced in medical malpractice law to obtain compensation for any suffering, or to block disclosure. Recently, a New York resident sued his medical professional for a HIPAA violation, claiming that the nonchalant disclosure of the fact that the patient had the Human Immunodeficiency Virus (HIV) was a violation which amounted to medical malpractice, and the court agreed. A discussion of this matter, in light of medical malpractice law, as well as other instances in which an invasion of privacy in the medical context may exist, will follow below. In the case discussed above, the patient, who filed the lawsuit using the fictitious name John Smith, was being treated by a nephrologist for kidney failure in an emergency room when the nephrologist revealed that the patient had HIV in front of a third party without the patient’s consent. The complaint charged the physician with a HIPAA violation, which, unfortunately, does not give an individual the right to file a lawsuit for a violation. Thus, the complaint was amended to include a charge of medical malpractice and invasion of privacy. The medical professional indicated that the statute of limitations had passed, relying on the shorter period given to file defamation suits. The court disagreed, holding that the reveal violated the standard of care required for a medical malpractice claim, and, as a result, the two-year malpractice statute of limitations applied. Video recording women during pelvic examinations. The general nature of privacy invasions as claims for medical malpractice is that a medical professional did not act according to a medical standard of care and, in doing so, caused an injury to his/her plaintiff. It is important to note, in these cases, that the term “injury” does not necessarily mean a physical injury. However, the disclosure of patient as HIV positive may result in ostracization from his/her community and/or may affect his/her employment. Thus, the injury, which may be to reputation or financial, as opposed to physical, is still genuine and, potentially, actionable as a form of medical malpractice. If you feel that a medical professional violated your privacy rights, or those of a loved one, contact the attorneys at Pita Weber Del Prado as soon as possible. We have experience in dealing with medical malpractice matters, and will work with you to develop the best strategy to get you the compensation you deserve. Contact our Miami office today for an initial consultation.